How Pinterest Ninja Skyrocketed My Blog Traffic Over 1000%! How Pinterest Ninja Skyrocketed My Blog Traffic Over 1000% in Less Than 30 Days! When I started out blogging, it became clear really quickly that I would need to up my Pinterest game to make it in the blogging world. Pinterest is the big daddy of all blog marketing and although I had been using it for a long time for all kinds of home related things, it was a bit hodge podge and lack-luster. Of course, I went straight to Pinterest to find some relevant course options, both free and paid, that I could use to invest in myself and level up my game. I am a huge fan of investing in yourself through course content. You can never know everything all the time (don’t tell my husband I said that lol). 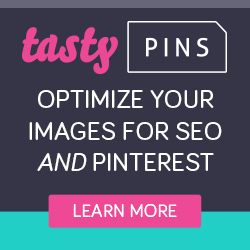 One of the most common pins I came across was the Pinterest Ninja course. I read a few reviews and the price was more than reasonable for the amount of content being offered. I bought it right then and dove in head first. Megan Johnson, the creator of the book, has an amazing knowledge of Pinterest and how to use it to build your blog. It’s easy to read and understand in the simplest terms and the extra video tutorials are super helpful if you are a see-it-to-learn-it type, like me. So what happened to my Pinterest game?? Let me tell you…. When I say drastically. I mean DRASTICALLY! Over 1000% increases for both my average monthly viewers and engaged viewers!! Take a look at my stats over the last 30 days! WOW! One of the first things the course suggested was for me to clean up all of my boards. I wished I had taken a before shot now ’cause don’t they look all pretty after her advice?? If you aren’t graphic savvy, her course has some freebie Pinterest covers for you to snag. Pinterest Ninja has a huge list of over 100 Facebook groups just for bloggers. Many of them are share thread groups that help to get traffic to your blog. If you’ve never checked a share thread out, I wrote a blog post about how they work that you can check out here. Along with all the Facebook groups, the Pinterest Ninja course also had over 350 Pinterest Group Board lists separated by niche, along with instructions on how to be invited. Group boards are phenomenal for getting your content repinned to the right audience. Having a business account that is attached to your website allows you to access stats right from Pinterest on how your pins are doing and if your posts are being read or “clicked”. This info is key if you want to track who your audience is and what they are looking to read. Rich pins are key to helping increase engagement. They link directly to your blog and to your post and give an extra bit of information on the pin. They look more professional and because of this, gain more attraction. Check out my impressions from the just the last two weeks! Pretty amazing I would say! Another biggie in this whole Pinterest marketing game is Tailwind. Tailwind is an automated Pinterest scheduler that saves a ton of time pinning content. You can literally schedule hundreds of pins at one time. This is a game changer for me. Scheduling out tons of pins each day is just not budgeted in my time. The best part is you can get it FREE for your first 100 posts! Pinterest Ninja also showed how to use Tailwind Tribes to even further increase traffic and engagement. It’s a really cool concept, similar to Pinterest group boards but with better analytics to track your game. One really great addition, outside of Pinterest marketing, is the addition of some great ways for beginners to incorporate affiliate marketing into your blog. Megan includes 85 affiliates and to get started with for any niche! AMAZING! Get your hands on this blog-changing eCourse here! 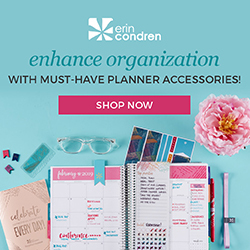 Click Here to Check out This Amazing eCourse! I hope you found this review helpful! It has really changed my entire blogging experience! Great review for the course. Something I will look into soon. Thank you! Just another question any idea how can we get rich pins working? I’m having a very hard time validating them for my blog. And cannot find an answer anywhere for it. Rapinder I had a super hard time with this too! I am going to do a short post on just that this weekend because it’s quite a common problem. Pinterest Ninja covers all of this too if you decide to check out the course. Hope you are having a great day! Just in case you don’t want to wait lol… You need to take the same html that you used to verify your webpage and insert it into any post. It won’t show up when you post. Then go back and confirm with pinterest and they will scan your webpage to look for that code. Once they find it, they will enable rush pins!! Let me know how you make out! This is very helpful to me. Thanh you! You are welcome! Hope you have an amazing day! Sounds so good! Will definitely check it out! It was amazing Diana! Well worth the time.. have an amazing day! I’m so glad you found it helpful Dani! Have a great day!! Thank you for sharing this info, very insightful. You are welcome! I really loved the course! It amped up my pinterest knowledge for sure. Have an amazing night! I was particularly drawn to the sections on making the boards look attractive. Admittedly this was an area I haven’t put much effort in or paid attention to. I also love the Tailwomd tutorial. You sold me! I’m buying this Ecourse! Thanks Kevin! Megan does an amazing job explaining everything about Pinterest… I think you’ll really enjoy her course!